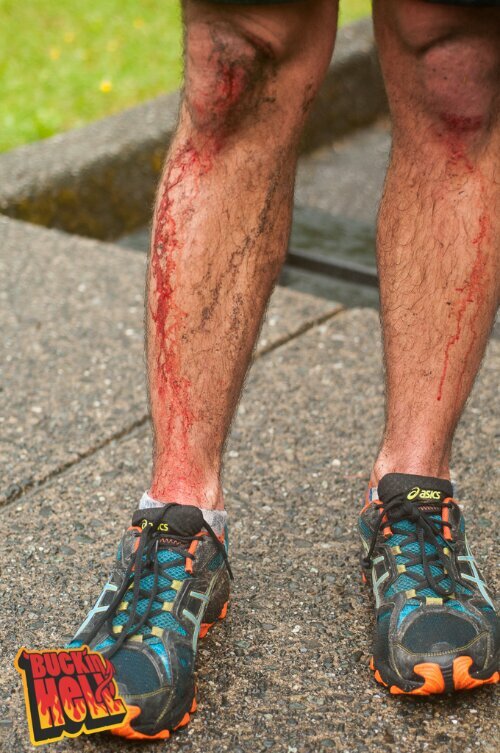 Recent Work – Coast Mountain Trail Series: Buckin’ Hell. 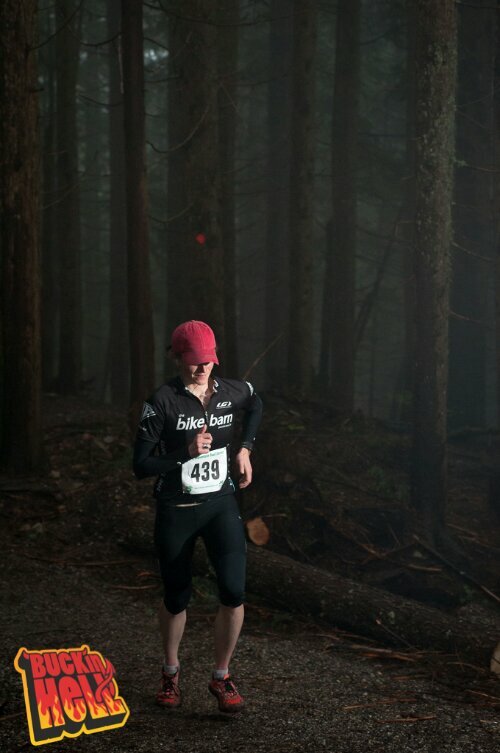 It is impossible to overstate how challenging fog, rain and darkness can be to capturing a solid trail running photo. 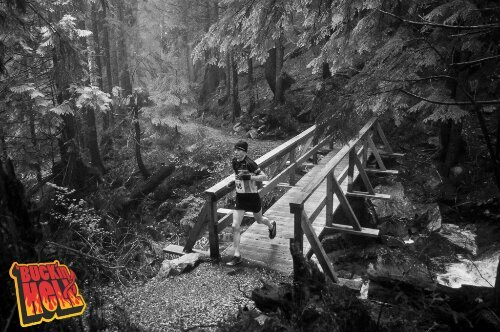 Cold hands and wet feet conspire with less than watertight outerwear to make waiting for the next runner to appear on trail truly an endeavour. 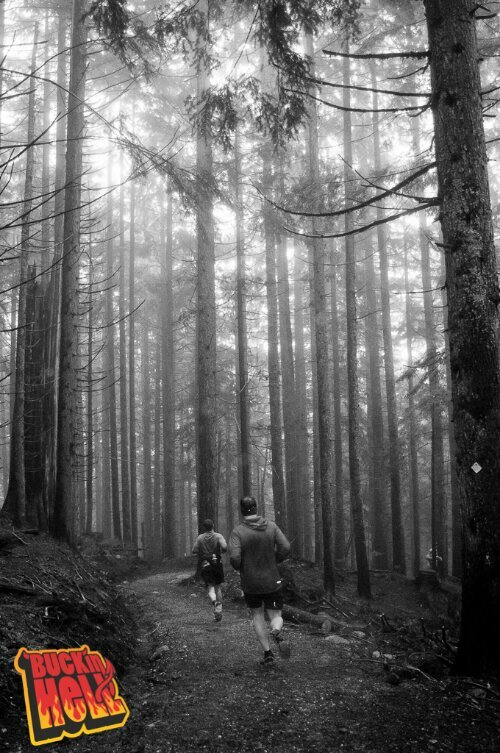 Yesterday morning on Mount Seymour, on Vancouver’s North Shore runners were hammered by aforementioned rain and fog while I stood waiting and wondering if this is the shoot that exceeds the weather proofing of my camera gear. I did my best, and though the response has been supper positive as photos have hit the social media feeds, I scroll through the images in lightroom and see more examples of where I can improve than not. Evey shoot is an opportunity to learn something, how to better prepare, to try new techniques to deal with challenging shooting environments and to think of new uses for zip lock freezer bags. Which I was wishing for as my speed light took a drenching even under the thick canopy of trees. I will stash a few in my still damp camera bag when I am hone again in about ten days. I’m at an airport this morning, thousands of kilometres away from where my day started yesterday on Mt Seymour’s Old Buck trail for the Coast Mountain Trail Series event Buckin’ Hell and I am trying, for the first time, to publish a post from my phone. Fingers Crossed. A huge thanks to Gary Robbins and Geoff Langford for inviting me along on their inaugural CMTS season as race photographer, to the scores of volunteers who make events like this possible and to our runners who make challenge look easy and inspire the rest of us.